This is a great small group activity. 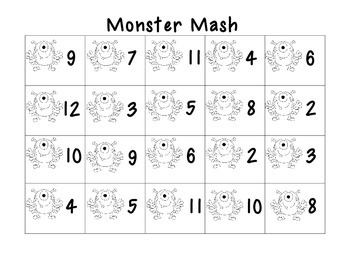 It includes two "Monster Mash" sheets, one for a single die and the other for more advanced students to use with two dice. 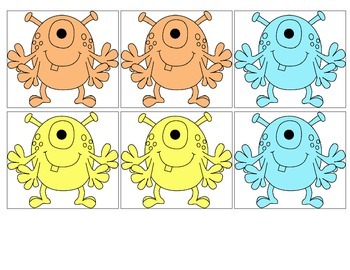 They will roll, count the dots, and stamp the correct monster number. I like to use dot markers with these sheets. Also included is 12 color monster matching cards. Lay all of the cards down flat and have the students turn them over and try and find a match. Discuss the colors they turn over as they play the game.